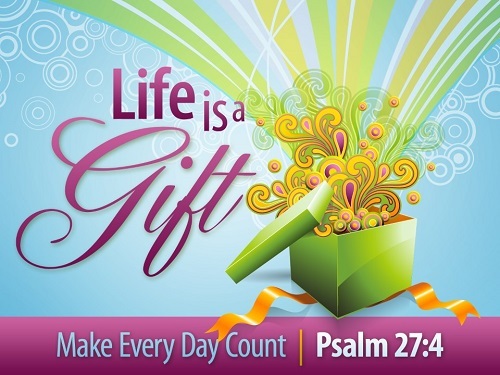 Everything we have is a gift from God. That is a foundational principle in the spirituality of Christian stewardship. It is not easy to embrace the reality that everything we have is a gift from God. Many of us, at a subliminal level, believe that everything we have is a result of our own efforts. The following story points out how persistent this false belief can be. The setting for the story is the Irish countryside; the focus is an abandoned farmhouse. A stranger buys the dilapidated farmhouse and immediately begins to make improvements. The stone walls are rebuilt, the house gets a new coat of whitewash, the fields are plowed and planted and the thatched roof is repaired. The people in the nearby village watch all this work with curiosity and wonder. One thing they know for certain is that whoever the new owner is he never goes to church. A group of the villagers goes to the parish priest and convince him to discover who the new owner is and to invite him to church. Soon thereafter the parish priest goes out to the newly restored farmhouse and knocks on the door. The door is opened, the priest is greeted and he soon finds himself seated at the kitchen table enjoying a cup of tea and homemade scones. The story is both humorous and tragic. Humorous because it invites us to laugh at ourselves. Tragic because it lays bare the fact that we are inclined to take too much credit for our successes and too little blame for our failures. The new owner’s heart is not filled with gratitude because his heart is too full of pride in his own accomplishments. Needless to say, he is not alone in this attitude. If we are to embrace fully the spirituality of stewardship, we must embrace the belief that “everything we have is a gift from God.” We must develop what stewards call “the attitude of gratitude.” Prayerfully consider what will help you realize more fully that everything we have is a gift from God.